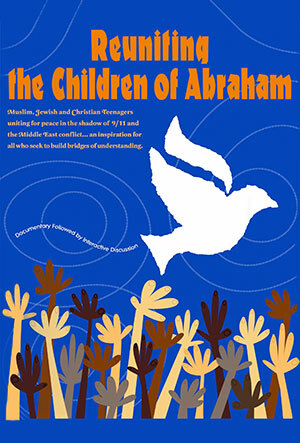 “Reuniting the Children of Abraham” is a powerful new kind of peace initiative that was launched on March 27, 2004. 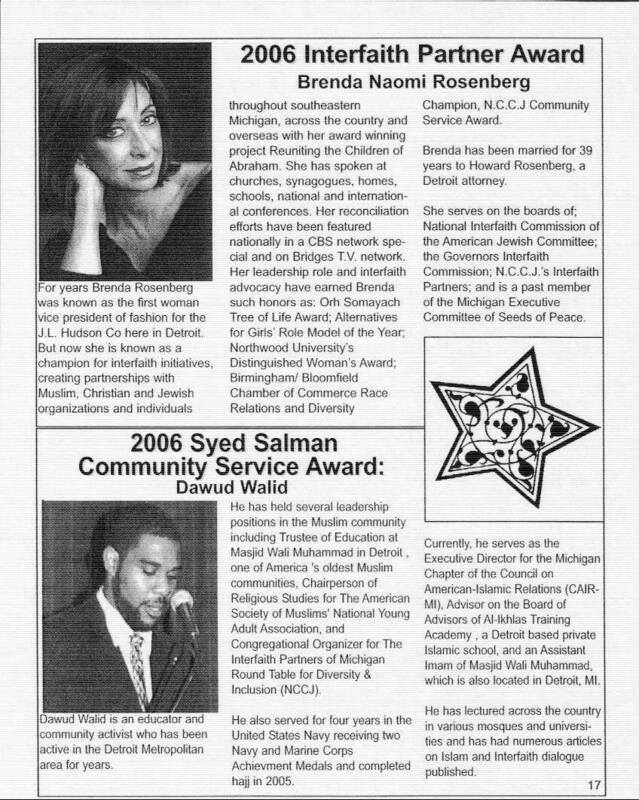 Utilizing the creative arts of drama, music, improvisation, and interactive dialogue, it is a model partnership that was created to build bridges of understanding between Christians, Muslims and Jews.” “Reuniting the Children of Abraham” is a creative response to show how it is possible to break down the longstanding barriers of fear, hate and prejudice. 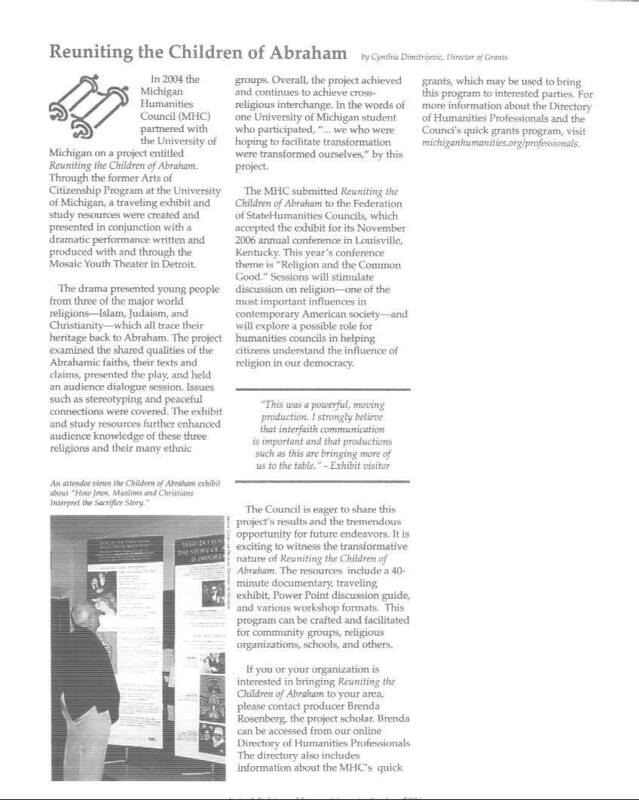 Initiated as a result of a lunch conversation with inter-faith partner, Imam Abdullah El Amin, Brenda was divinely inspired through a dream to create a play and healing project to bring all of Abraham’s children together. 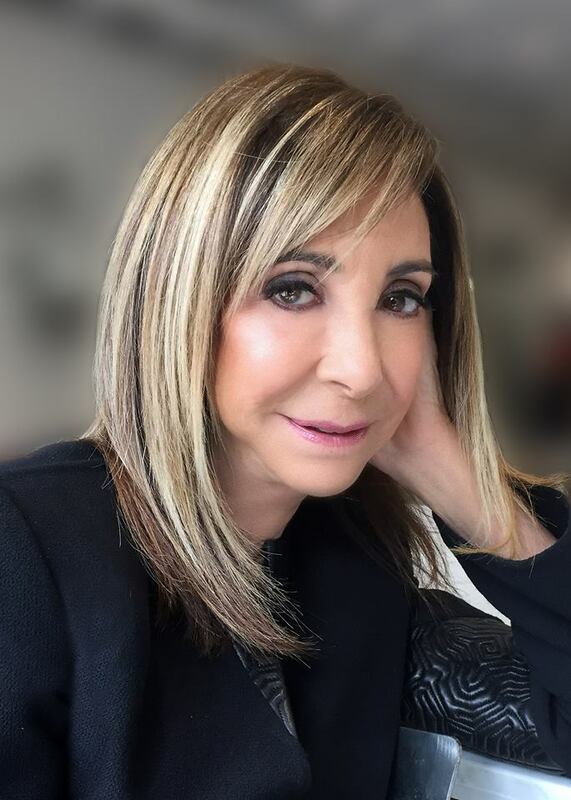 To make the dream a reality, Brenda partnered with Rick Sperling, founder and creative director of the internationally acclaimed Mosaic Youth Theatre of Detroit, playwright Rachel Urist, and NCCJ Interfaith Partners. For more than three months, Christian, Muslim and Jewish teens from Metro Detroit came together to discuss their fears and their hopes for peace. This creative response from the viewpoint of young people has opened minds and hearts to the possibility of peace. To reach a greater audience, a documentary and a tool kit of support material was created. “Reuniting the Children of Abraham brings together congregations of Christians, Muslims and Jews, both adults and teens to see the 4 step healing process in the documentary and then engage in interactive dialogue. RTCOA provides the opportunity for audiences to experience how reconciliation and peace are possible. 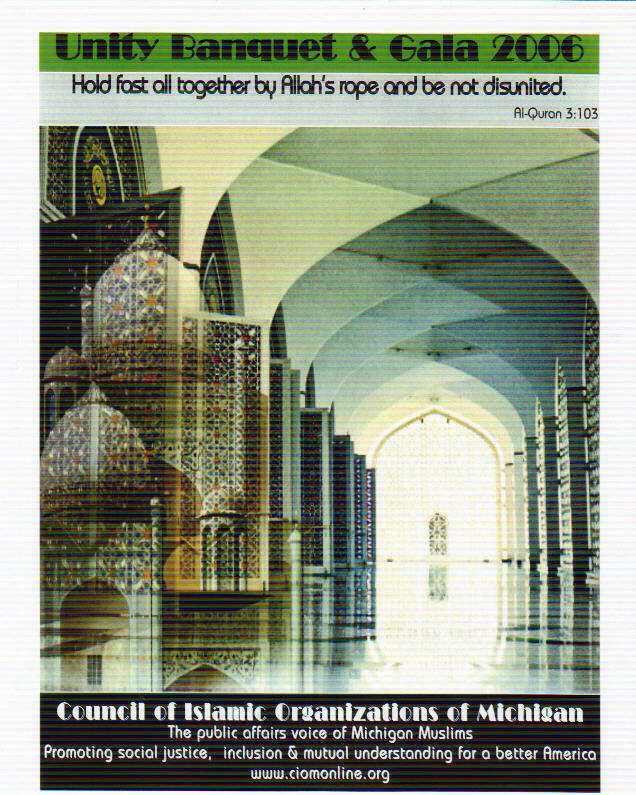 RTCOA has been featured as a CBS network special in over 100 markets and on the National Muslim TV network Bridges, as well as being featured in numerous articles and the front page story in Detroit, and Duluth newspapers. Michigan’s David Crumm, The Detroit Free Press. “Organizers hope to bring all the children of Abraham together.